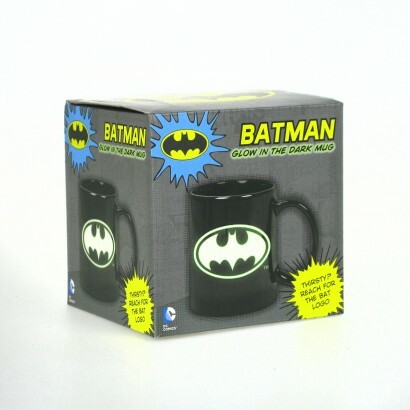 Even the greatest of crime fighters need to pause for a brew from time to time, and so what better way to put your feet up for five than with your fave hot drink in an awesome glow in the dark mug? 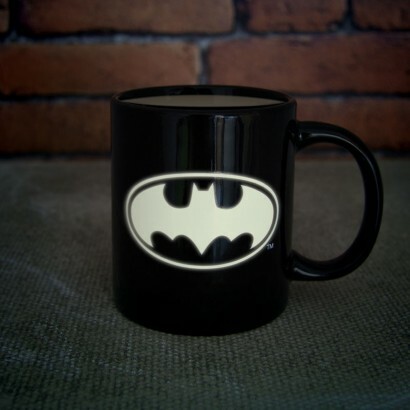 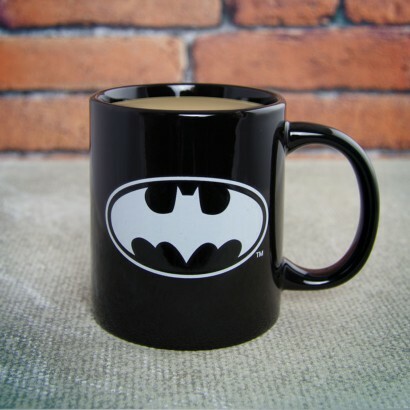 The Batman glow in the dark mug features the Batman logo on a sleek black background. 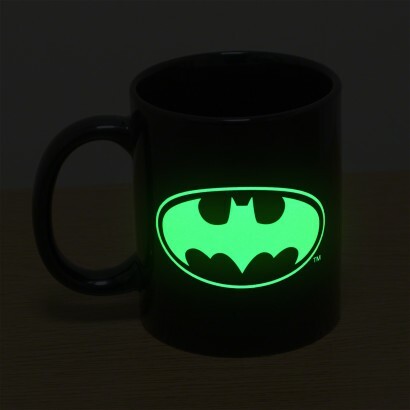 Take your brew into a darkened room and you'll see that the Batman logo glows in the dark so that you can find your way to your drink even on the darkest of nights!